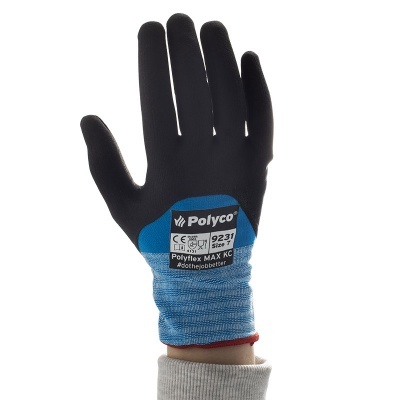 Featuring a seamless knitted liner with a foamed nitrile 3/4 coating, the Polyco Polyflex MAX KC Work Gloves 923 offer superb grip and comfort in dry, damp or oily conditions. 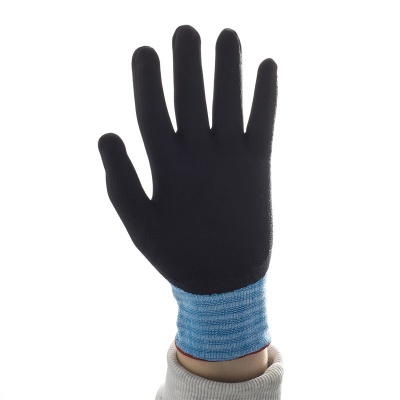 Breathable and lightweight, these gloves are also approved for contact with food, making them suitable for a large variety of applications. 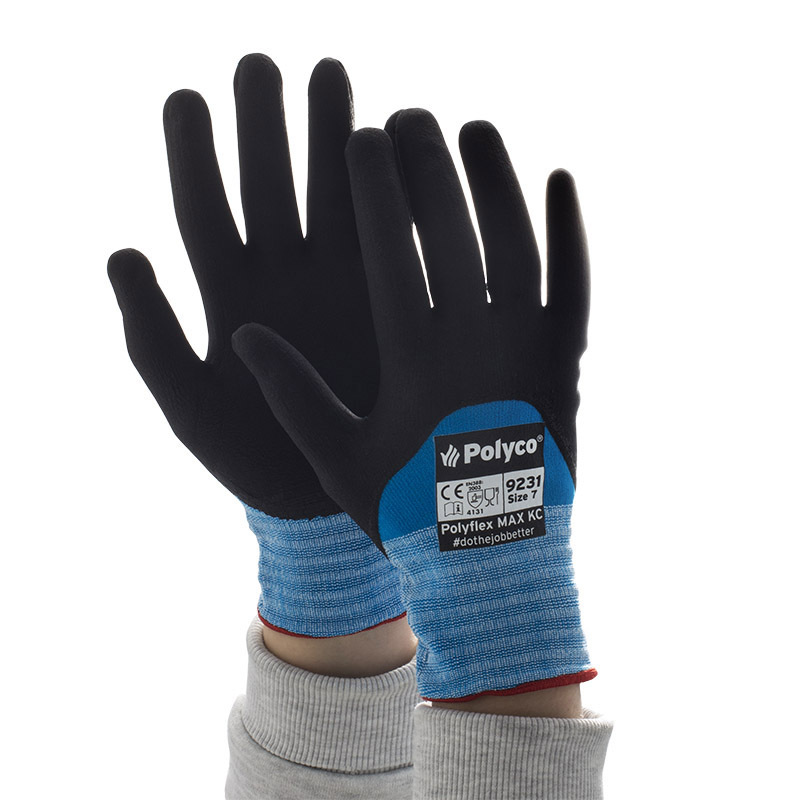 The Polyco Polyflex MAX KC are available in six different sizes, making them suitable for most users. Please measure the circumference of your hand around the knuckles (excluding the thumb) with your hand open and your fingers together, and the length of your hand from the tip of your middle finger to your wrist. The Polyflex MAX KC are designed to have a snug fit to enable precision work.